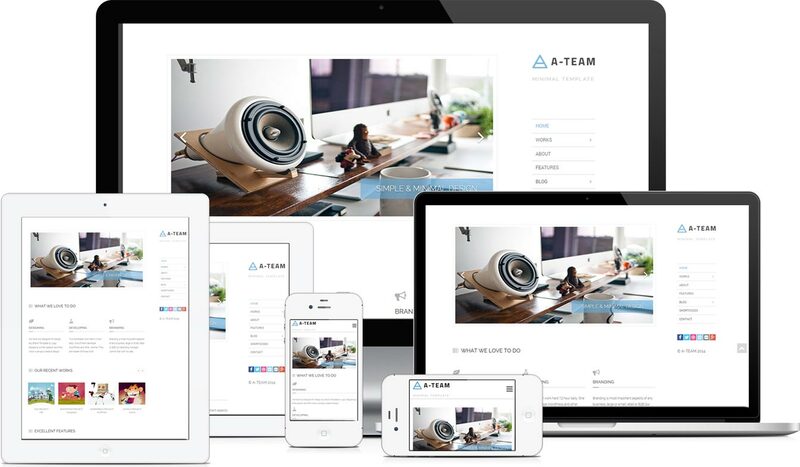 A-TEAM is one of the best personal WordPress Theme for Blogging purpose. With this Minimal WordPress Theme you can showcase your project and start your own blog. You can also share your experience with other. There are some outstanding feature of this Theme. A minimal design is perfect when it become Responsive too. 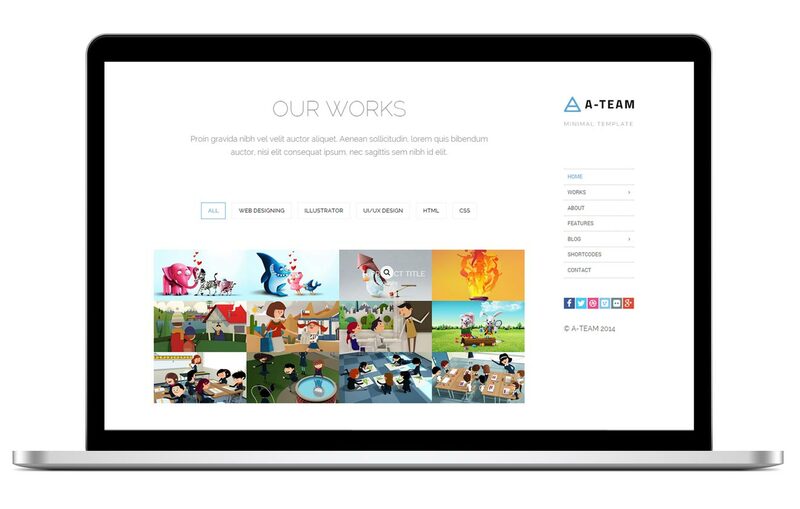 A-TEAM provide better Responsive Design for Desktop, Laptop, Tablet, iPhone and some other small screen device with Retina Ready. A-TEAM provide a fixed right sidebar for menu. You can scroll as you need but the right sidebar will be fixed always. This will help you to go to any page of A-TEAM very easily. Simple animation effect increase the quality of this Template. We have include two type of blog post style one is default and other is masonry. Better typography make this blog post system better for read and understand. Masonry system is more popular now. Our Works section build with 4 page and a single page. A default page of works will arrange your work with it’s image size and other 3 page are build with column. First is 2 column , Second is 3 column and last is 4 column. Single page provide the description of each works. A-TEAM has better option panel. This is easy to understand and simple to work. There is no complex option. For example, If you want to import demo into your site just click into the ``Import Demo`` button. You can easily customize you website page with Visual Composer. You will get this plugin for free with this Theme package. We know everybody loves Visual Composer as a drag and drop page builder.